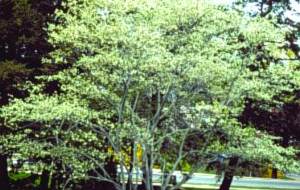 A large round-headed tree that thrives in a wide range of soils. 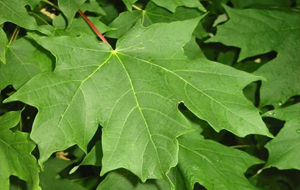 This slow growing Maple has deep purplish foliage. Grow up to 15' in 10-15 years. Leaves are finely dissected and a beautiful shade of red. 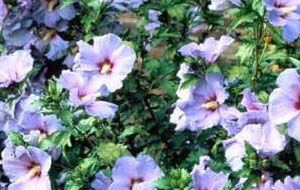 Plant in sun to partial shade away from wind. Grows to 20' in 10-12 years. 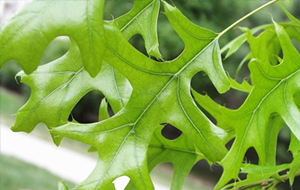 Leaves are green in spring & summer, yellow, orange & red in fall. 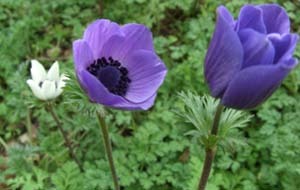 Flowers in early spring, white flowers by tiny red-purple fruit in early summer. Bark is a red-brown color, becoming torn and shredded on mature trees. Golden yellow in fall. 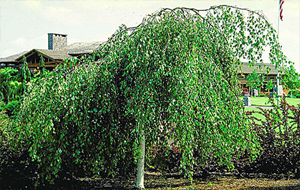 Irregularly shaped weeping tree. 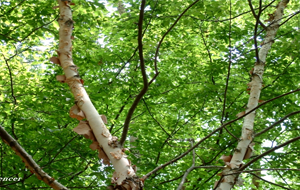 Bark is white with black ridges. Fall color is golden yellow. 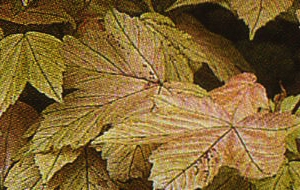 Leaves turn yellowish to reddish purple in fall. 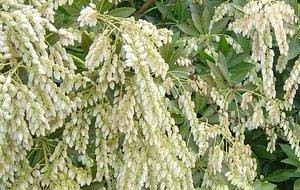 Fragrant, white flowers in May and June. 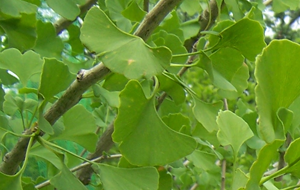 The fan shaped leaves are smooth leathery texture. Fall color is bright yellow. Insect & disease free. 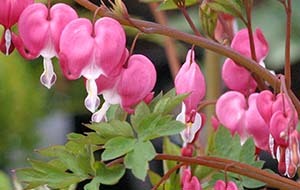 In spring, covered with pink or white flowers followed by pea sized fruit that remains through fall. Wonderful accent tree. 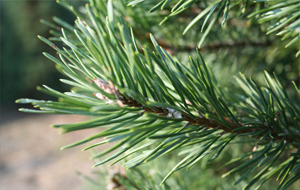 Short light green needles are tightly placed. 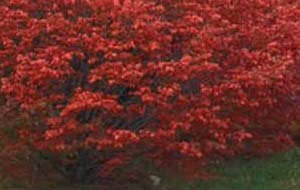 Fast growing, symmetrical, pyramidal tree known for its crimson fall color. Broad arching, drooping branches. Fast grower. Excellent as natural privacy fence. Not common as tends to be very aggressive. 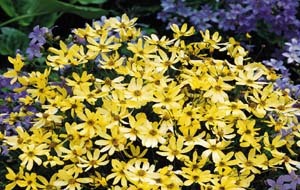 Produces bright yellow flowers in May. 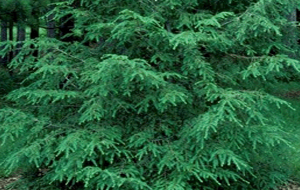 Deciduous shrub with gray-green foliage. 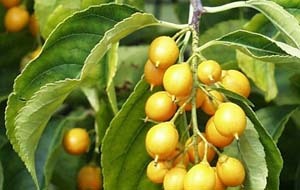 Offering beautiful yellow-orange and red fruit in October. Beautiful dried for fall arrangements. 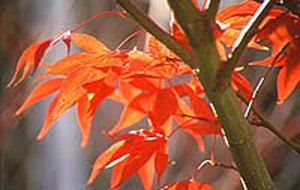 The beauty of this shrub is seen in Autumn. The leaves turn rose,violet or red. 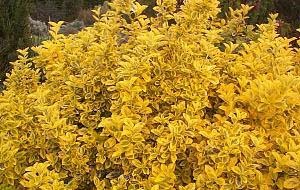 An densely branched, compact, slow growing deciduous shrub. 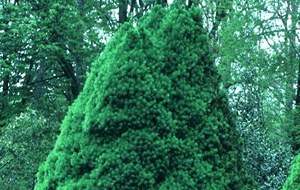 Evergreen shrubby spreader with small rounded oval leaves that are a glossy dark green. 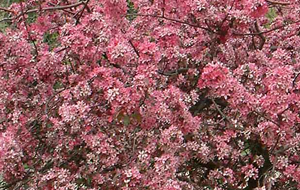 This upright, deciduous shrub flowers freely in summer in various colors. 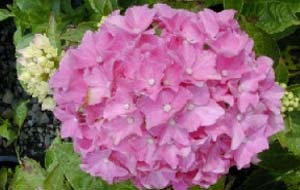 Hydrangea is the queen of late flowering shrubs. 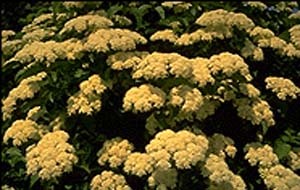 These plants produce large flower heads. 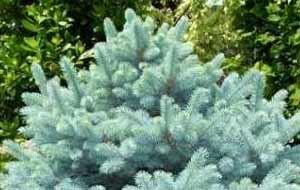 Very slow growing evergreen. 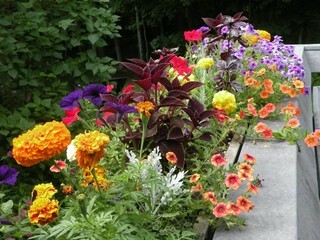 Excellent choice for foundation planting. Slow growing (approx. 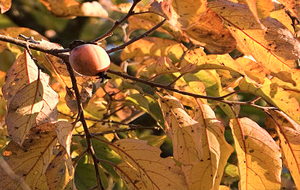 2-3' per year), globe shaped when young, maturing to broad conical tree. 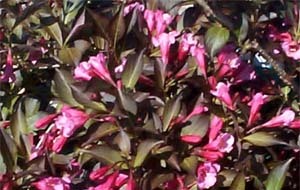 Andromeda is an evergreen shrub that produces lovely springtime flowers. 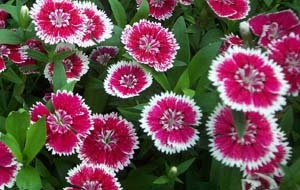 Flowers in spring, white or light pink against rich wine red leaves. 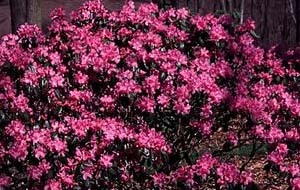 Unlike other broad leaf Rhododendrons, the P.J.M. can tolerate full sun unusually well. 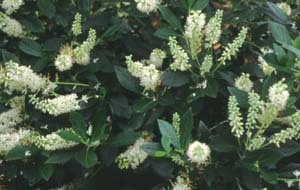 This attractive deciduous shrub flowers in early summer with fragrant white blooms. 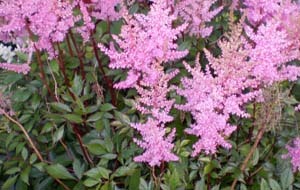 This rapidly growing deciduous shrub flowers in June on previous years growth. 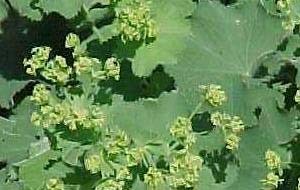 Lady's Mantle blooms in late spring and into summer, clouds of soft chartreuse flowers. 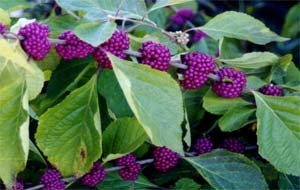 This plant is great for adding fall color to your garden as varieties begin blooming in September. Grows approx. 8" x 12-18"
Evergreen. 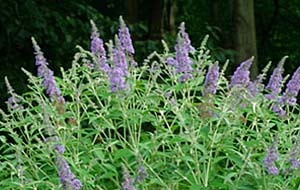 Grey-green foliage makes this perennial attractive even when not flowering. 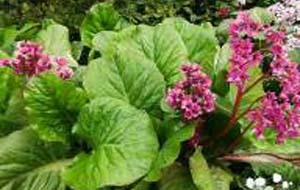 The unusually shaped flowers and variety of colors make this perennial a must have. 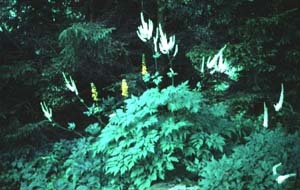 Plume like flowers rise above the foliage in early to late summer. 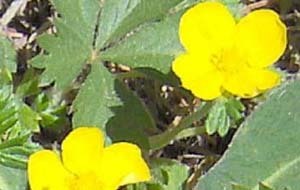 Bright yellow flowers appear from April through May. Plant in full sun. 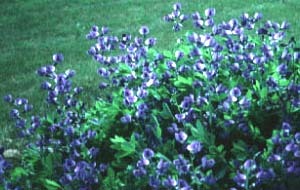 This large but airy perennial produces dainty blue flowers in mid spring to early summer. 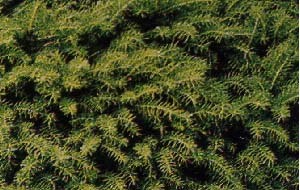 An excellent, usually evergreen ground cover, with leathery cabbage like leaves. 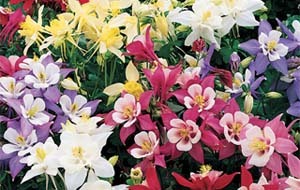 Many varieties available. 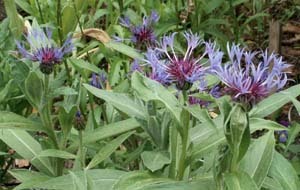 One variety that works well in most gardens is "Blue Clips". This low growing, low maintenance rose looks beautiful in any garden. In pink, white and red. 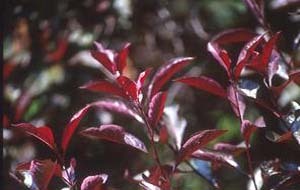 This plant will give you late summer color in your shade garden. 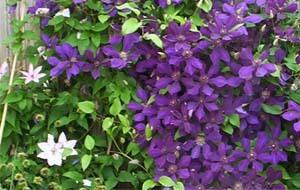 A fantastic vine to grow up trellis's, arbors, poles etc. Bold flowers. 2-3" thistle like (but not prickly!) 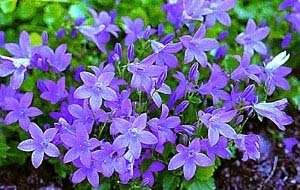 violet-blue flowers appear mostly from May-July. Beautiful pale yellow, daisy-like flowers bloom from June until first frost. 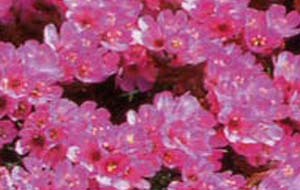 A small low growing, spreading perennial for full sun. 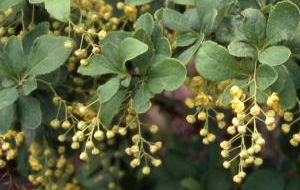 Have an unique flower and fine-textured, blue-green foliage.